This column was originally published in the Central Western Daily on Tuesday 17th April 2012. Back in March I wrote about a new game launched on iTunes that was so popular that it caused a server meltdown. The Simpsons Tapped Out, a time management game similar to Farmville and My Smurfs’ Village, was withdrawn from the Apple App Store a few days after release allegedly due to high demand on the servers of the game’s producers, EA Games. It now appears that there was more to the game’s withdrawal. The thousands of players worldwide who had already downloaded the app were allowed to continue playing the game (and spend money on premium features). Within a week or two, reports started to flood into internet forums of lost game progress, missing characters and in-game dollars and points not being recorded. My Springfield fused with another player’s town, leaving me with a mess of streets and houses that looks more like The Rocks than the orderly custom designed town my slightly OCD mind created. Almost six weeks after the withdrawal and initial promises of updates and patches to fix the app, EA Games has gone quiet. The game is still missing from the iTunes store and there are no signs of any relief for the players who have already dedicated hours and hours of game play to Homer and company. It seems that The Simpsons Tapped out was rushed out for release with major flaws and little beta testing. Apple has started to refund money to players but the lack of communication from EA Games may well have tarnished the cash cow that this game was destined to become, at least in the eyes of early adopters. The void in the “freemium” game marketplace left by the MIA Simpsons has already been filled by a new franchise, this one based on movie making. 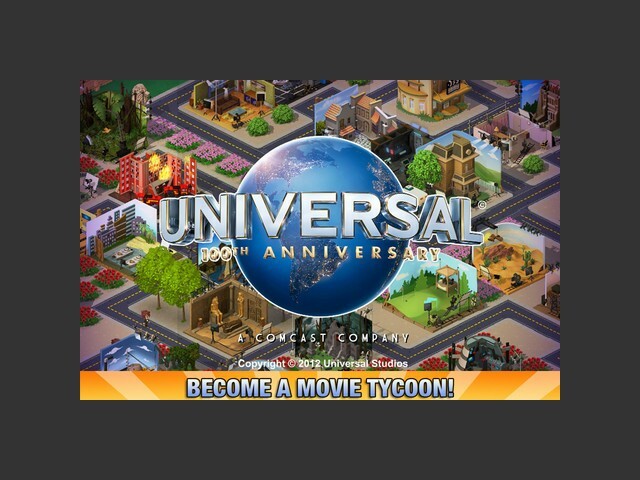 Universal Movie Tycoon is free to download and celebrates the 100th anniversary of the famous film studio. As head of the studio, players get to build sets and remake famous films, selecting from an array of virtual directors and actors. As expected, progressing through this game is painfully slow without spending real money on the premium currency of the app, Movie Magic. Unlike other games of this type, a couple of dollars seems to go a long way. There is, however, the ridiculous option of buying 5000 Movie Magic credits for $51.99. You could buy every premium decoration, set and building, upgrade every actor and director to the max and still have credits to spare. Unfortunately there is no social functionality which is the norm for games of this ilk. What’s the point of building your own virtual film studio if you can’t visit other nerds online and leave them virtual gifts? Initially fun, the game soon becomes repetitive and boring. It says so much about the current sad state of the film industry when a game designed to promote Universal Studios encourages you to remake the same movies over and over again. So far I’ve remade The Fast and the Furious 33 times, Despicable Me 23 times and Seabiscuit 22 times. I don’t think this game will be on my iPad much longer.